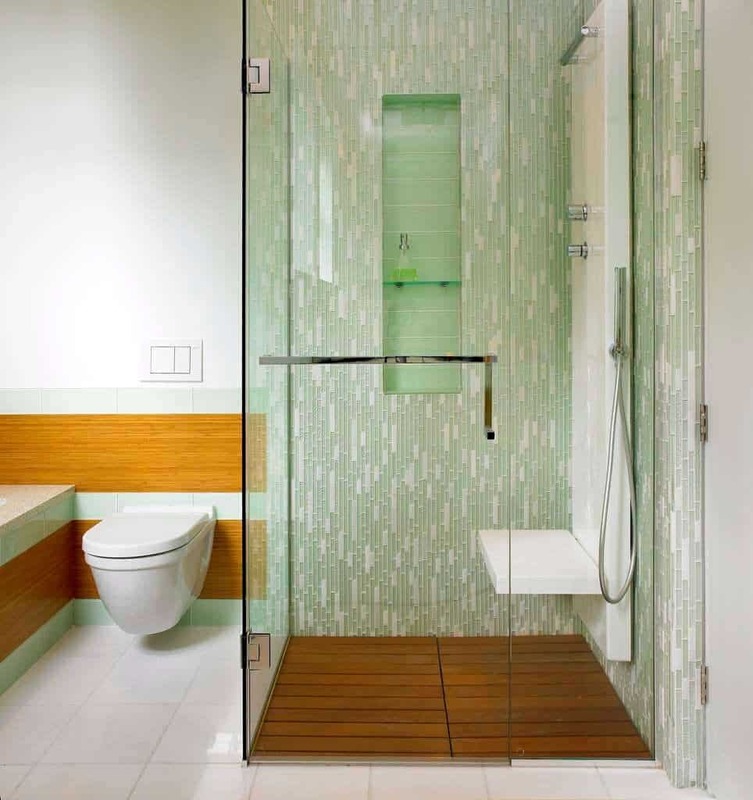 These shower tile ideas will have you looking to redesign your bathroom! 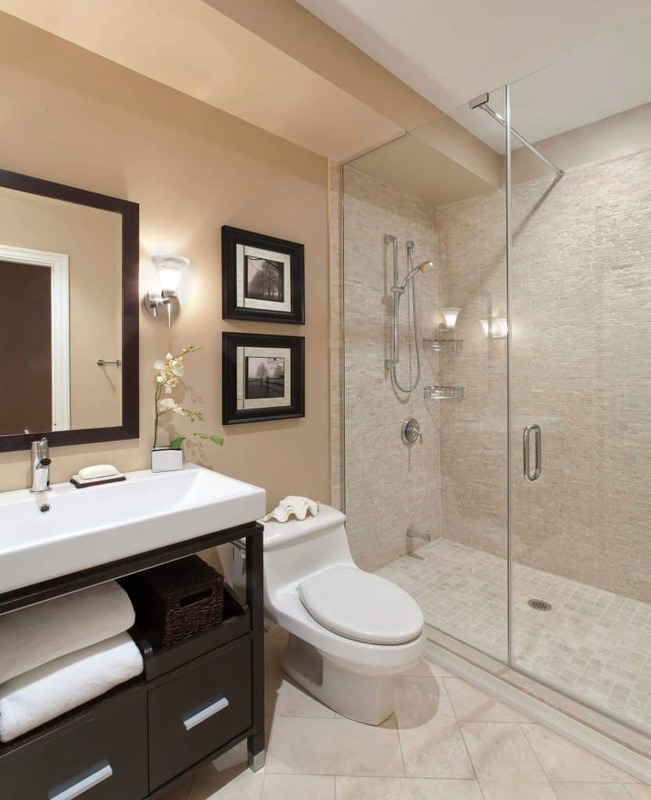 Did you know that changing the shower tile pattern for your bathroom can transform the entire look of the bathroom? 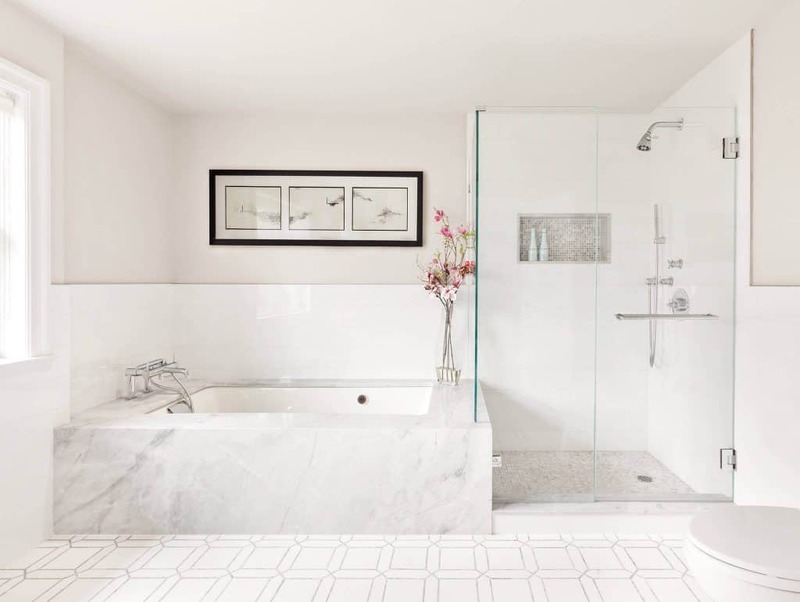 Not every look will fit into every bathroom and that is why it is important to have a large set of ideas to choose from. 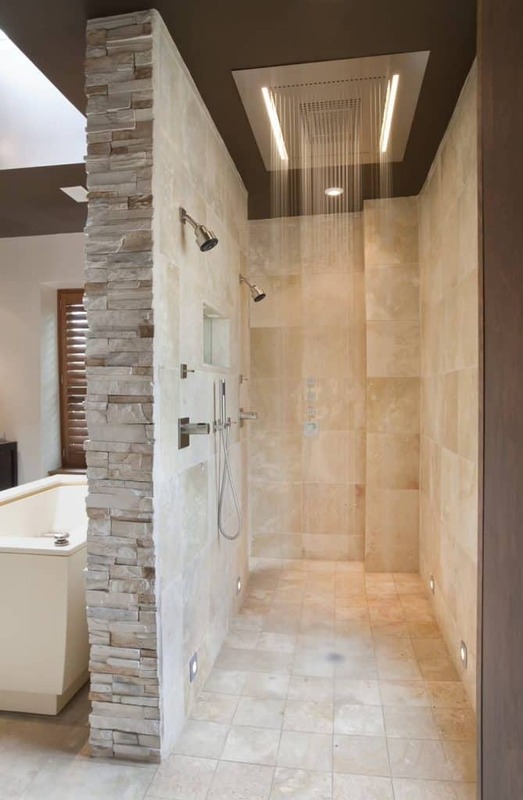 Below are some shower tile ideas that can transform any bathroom into something new and spectacular. You Don’t Have To Go Symmetrical. 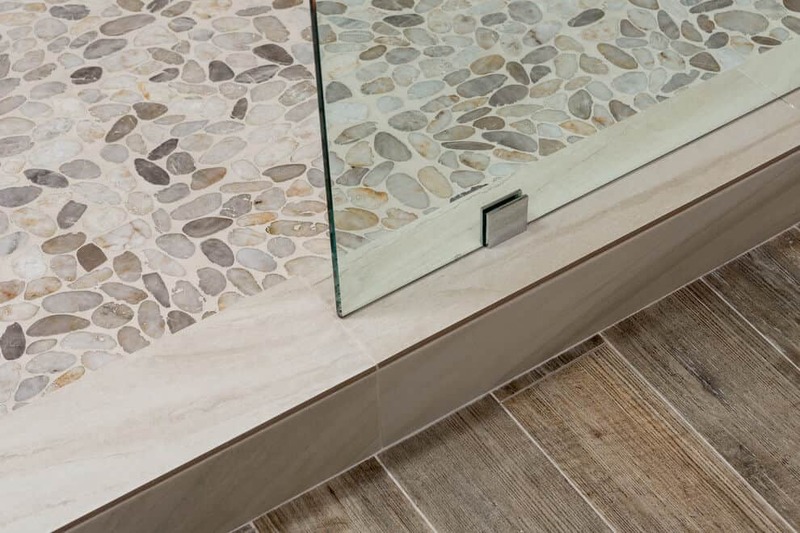 Not every tile in your shower has to be lined up perfectly to create a beautiful tile pattern. 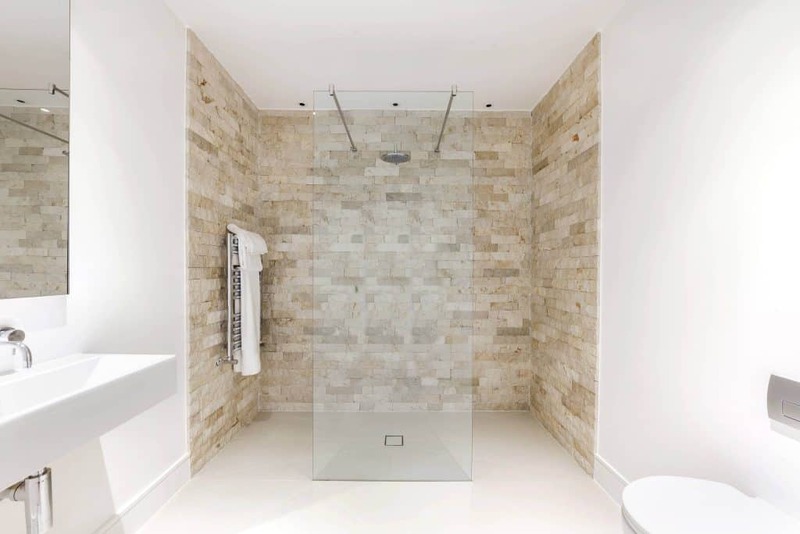 In fact, some shower tile patterns are purposely put into a disorganized look. 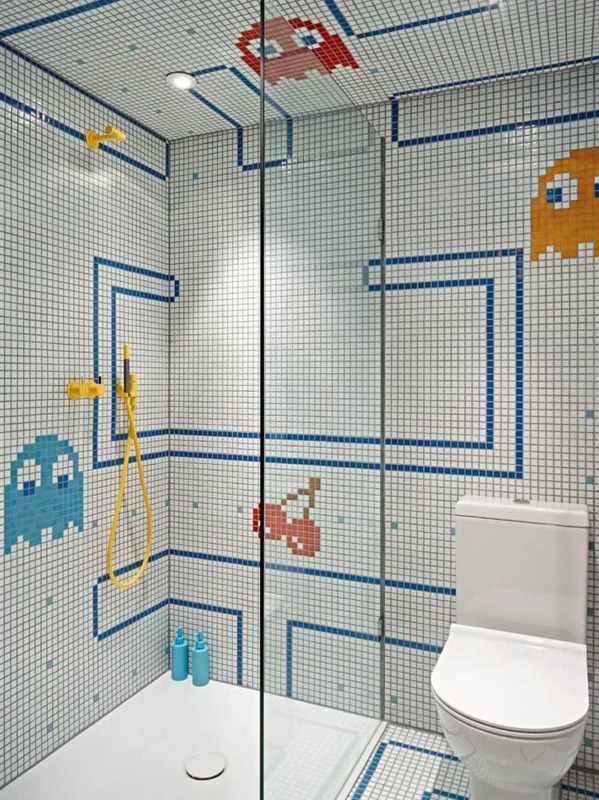 This can be done by staggering the tiles with different colors or even shapes. 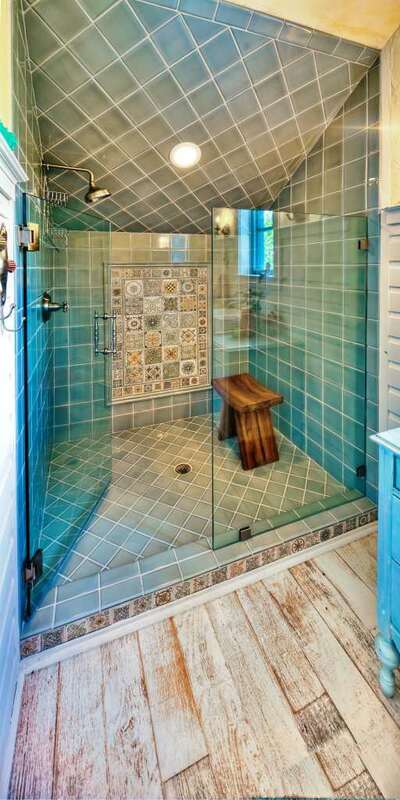 These types of shower tile ideas are truly endless. 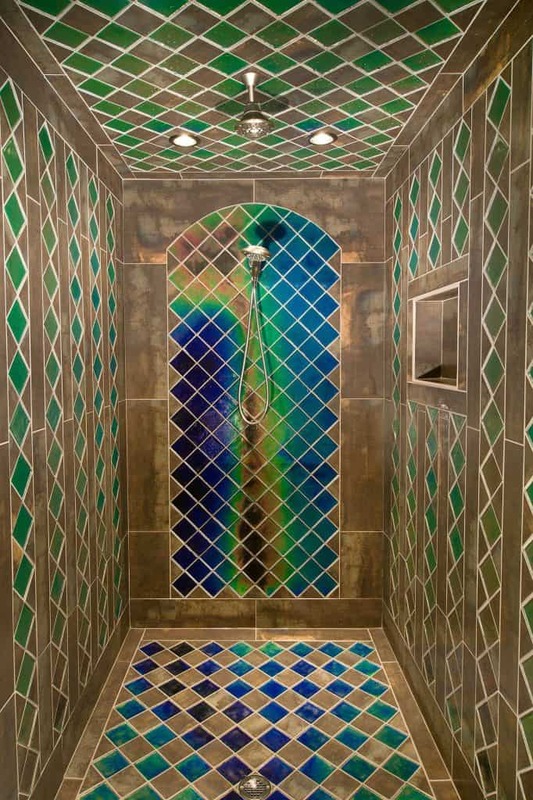 A Checkered to Solid Color Shower Tile. 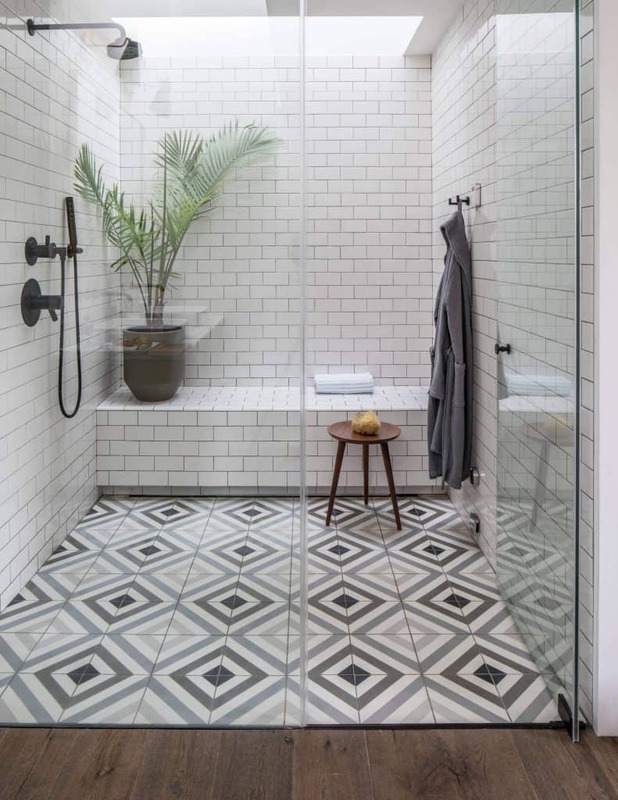 Another shower tile idea is a solid color that meets up with a solid pattern. 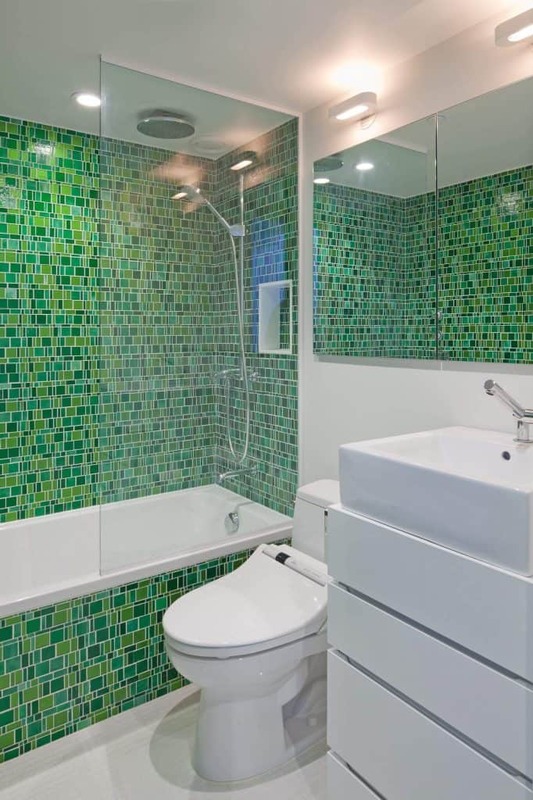 This can be a checkered area of different colored small tiles and then an area that has one single color of tile. 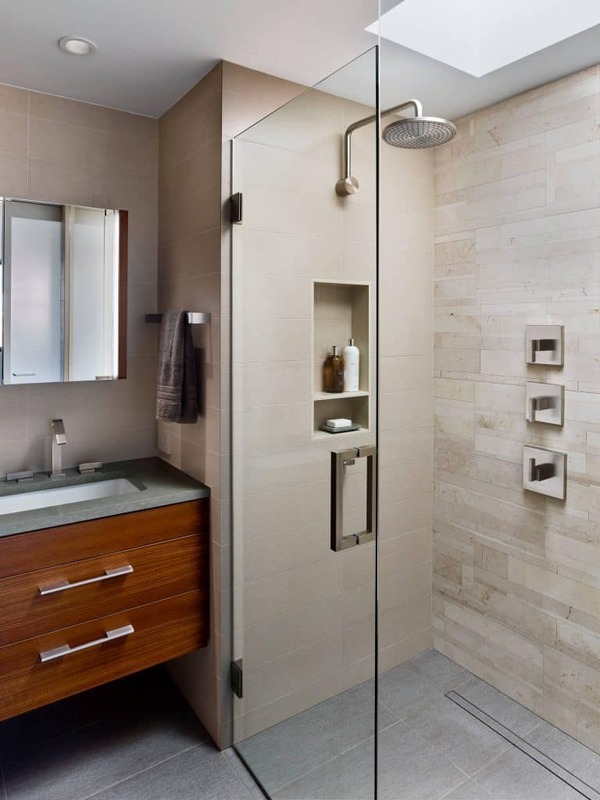 This can help make certain areas of the shower sand out by the change in a pattern. 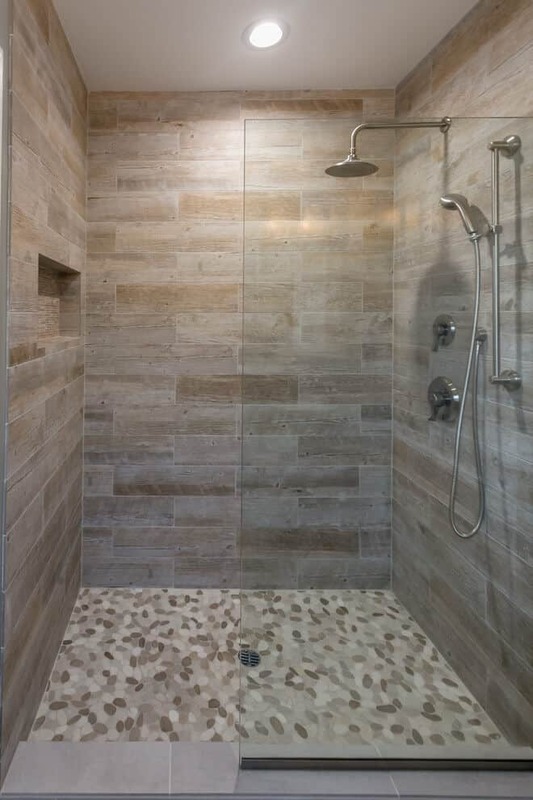 The tile ideas are endless for this type of shower tile and can be laid out according to your preference. 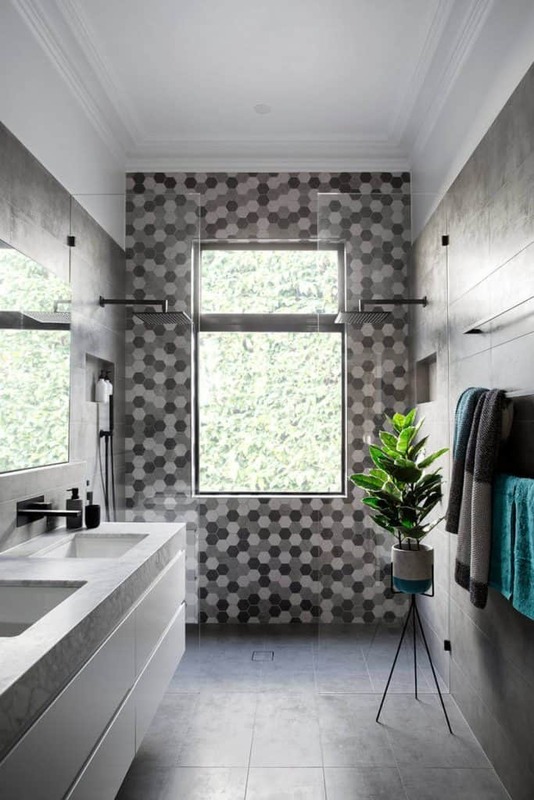 Try a solid color of tile in the entire shower except for on or around the built-in niche then lay out a checkered look of two tones of tile. 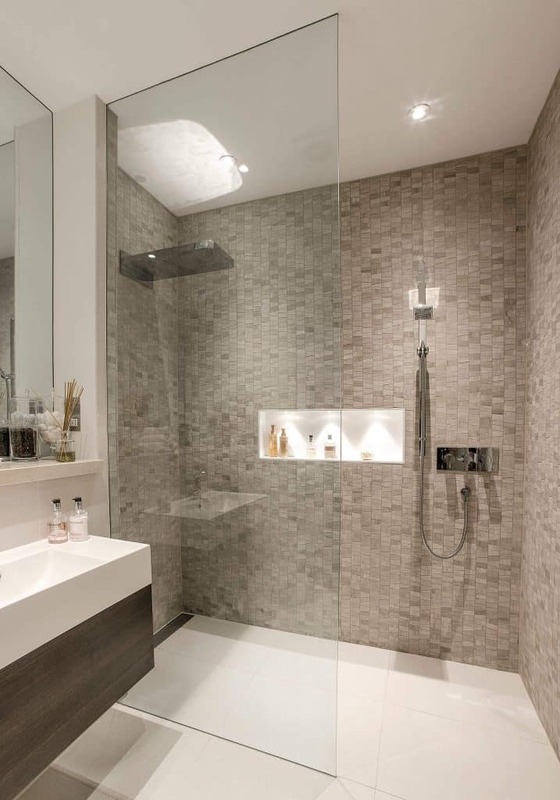 A checkered tile pattern except for around certain areas of the shower like the faucets or maybe even a shelf. 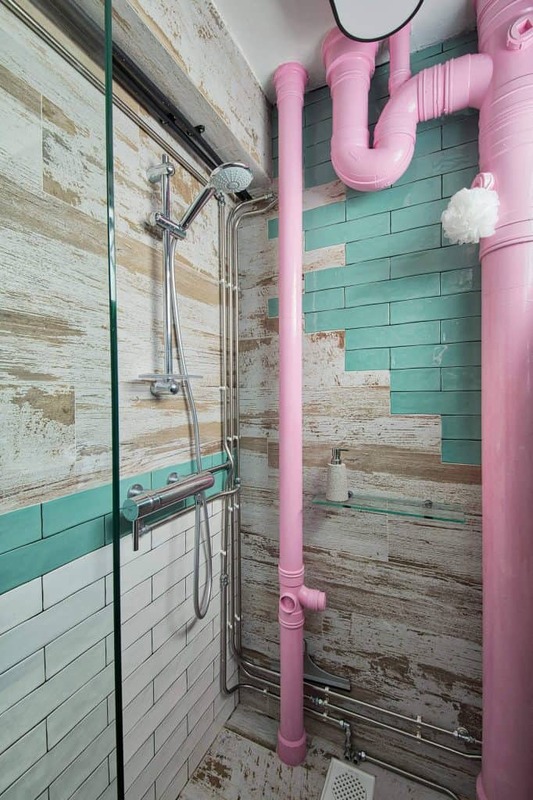 This shower tile pattern can be reversed as well for an equally unique look. 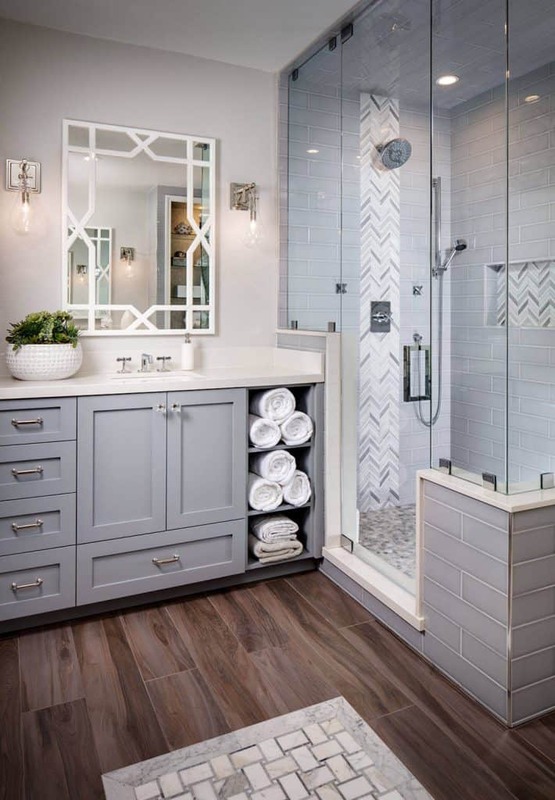 To create a beautiful masterpiece in the center of your shower that is even more eye-popping, you can have a staggered look of tile with a set pattern in the center. 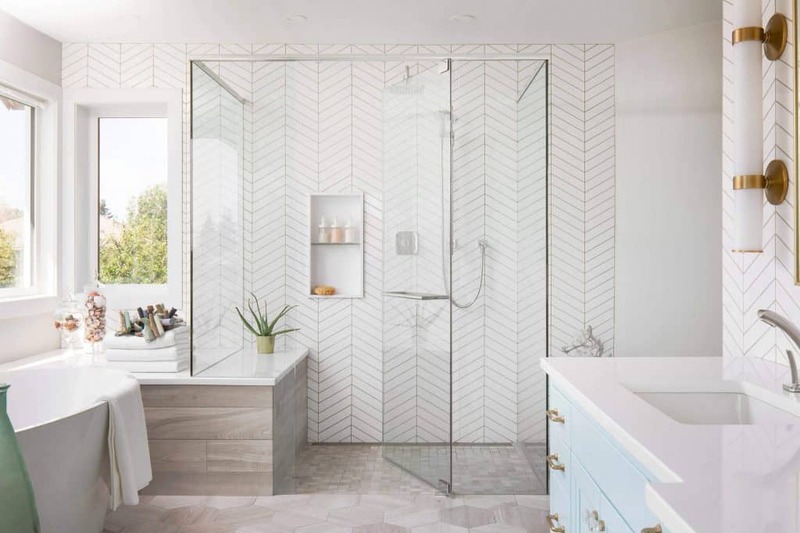 For example, you can choose to do a letter to represent your last name or even just a diamond tile design or a particular shape with a set color. 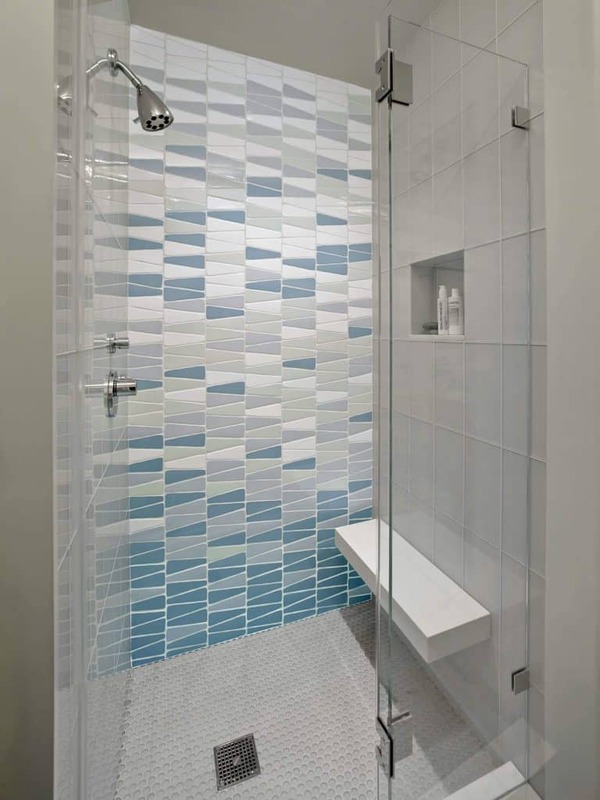 Shower tile ideas using a Two-Toned Tile Pattern. 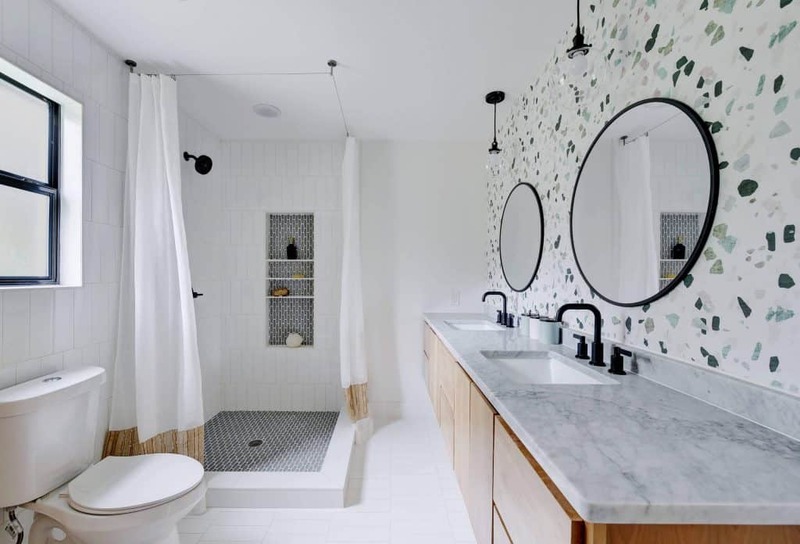 A bathroom tile pattern that involves two different colors can definitely transform your bathroom shower. 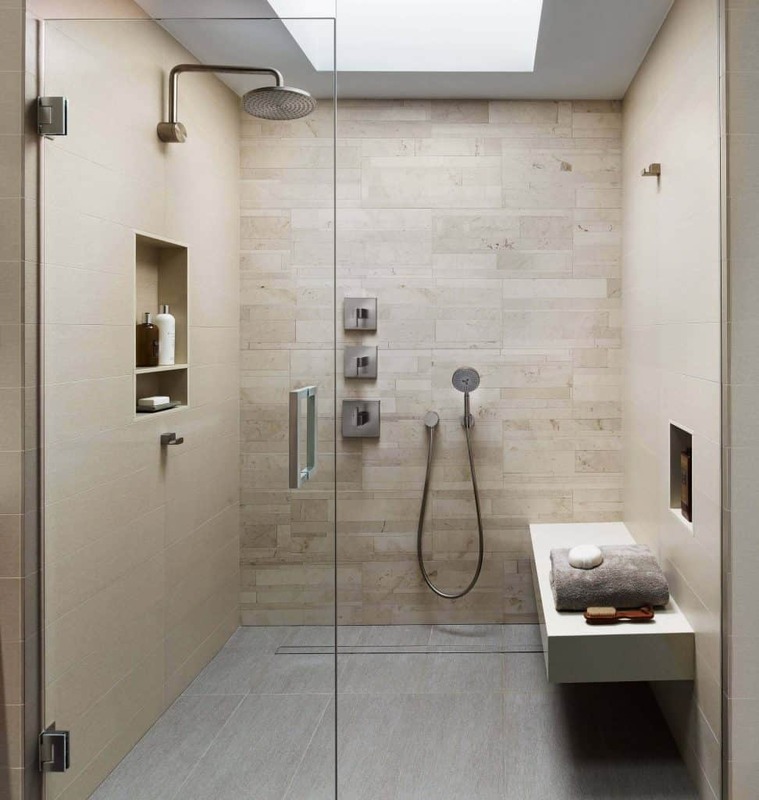 Consider, shower tile that has two of the similar colors but of a different tone. 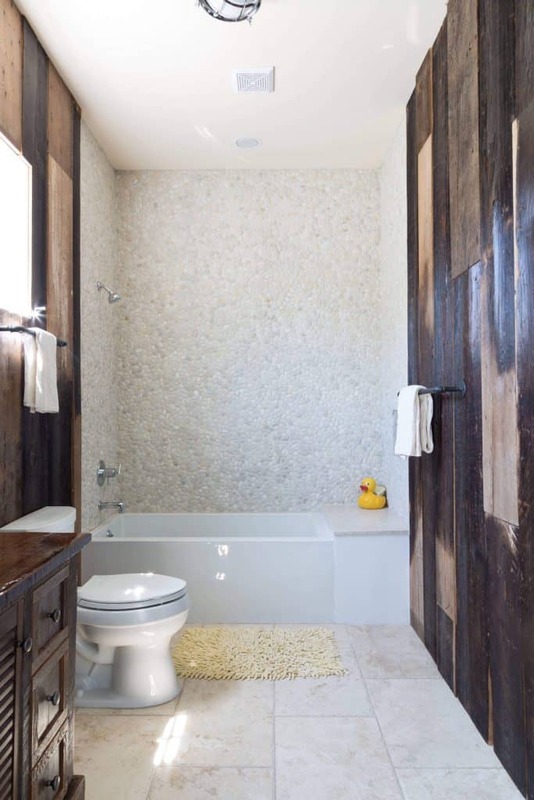 This can create a tile pattern that is less boring and more fun. 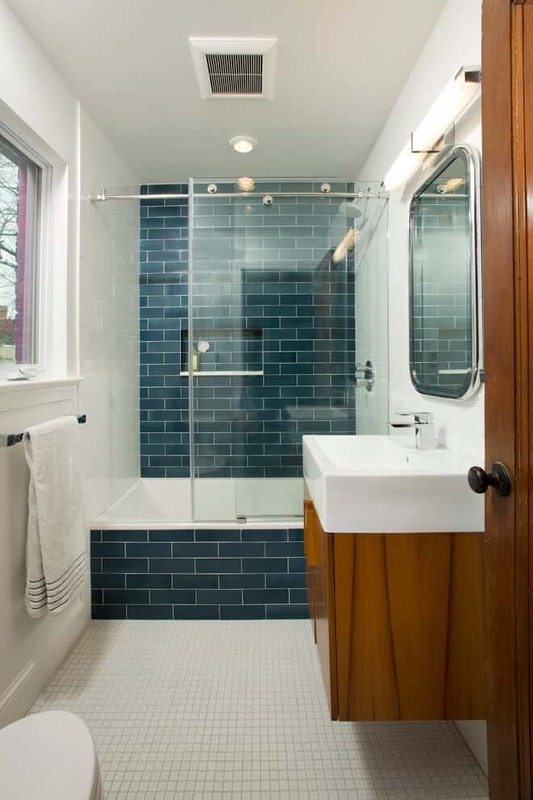 Also, the tile colors can be of a different contrast altogether. 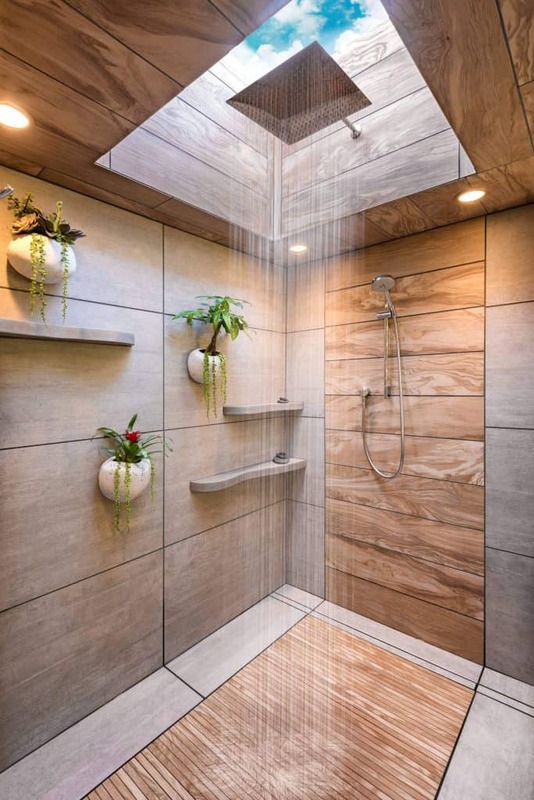 This can transform the showers look completely. 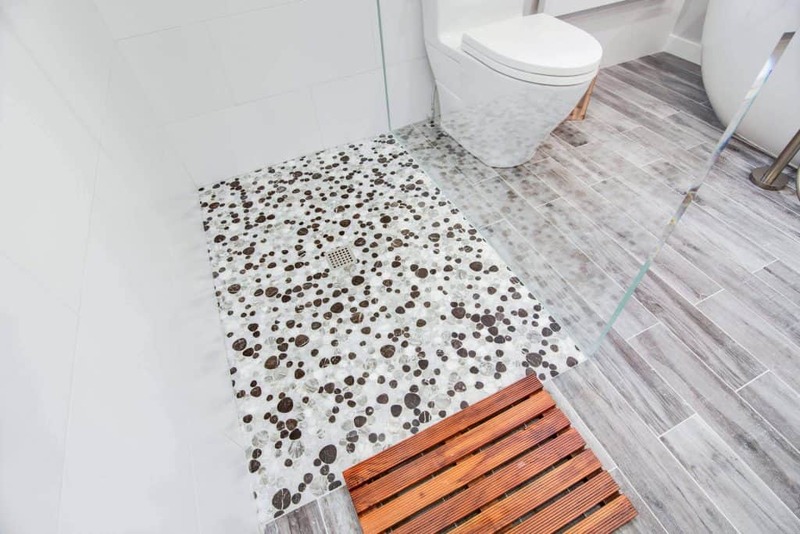 Is That Really Tile? 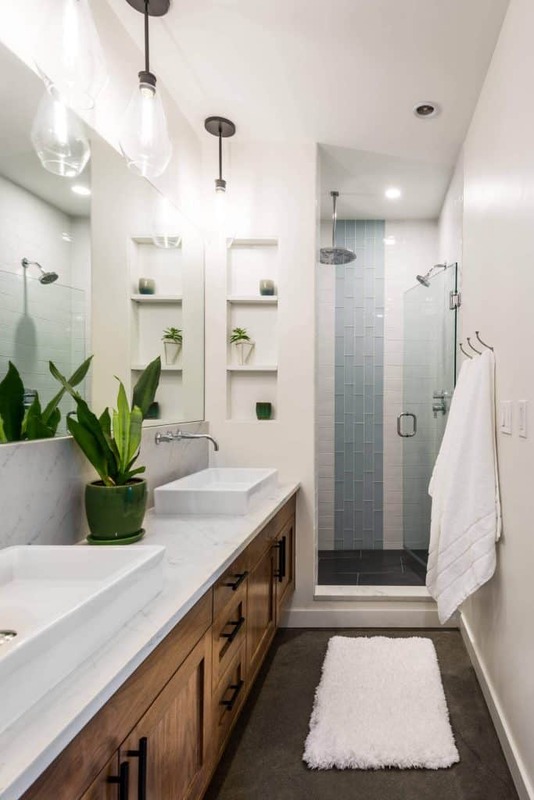 One way to really change the entire look of your bathroom’s shower tile is to purchase a set of tiles that do not even look ceramic or like shower tiles at all. 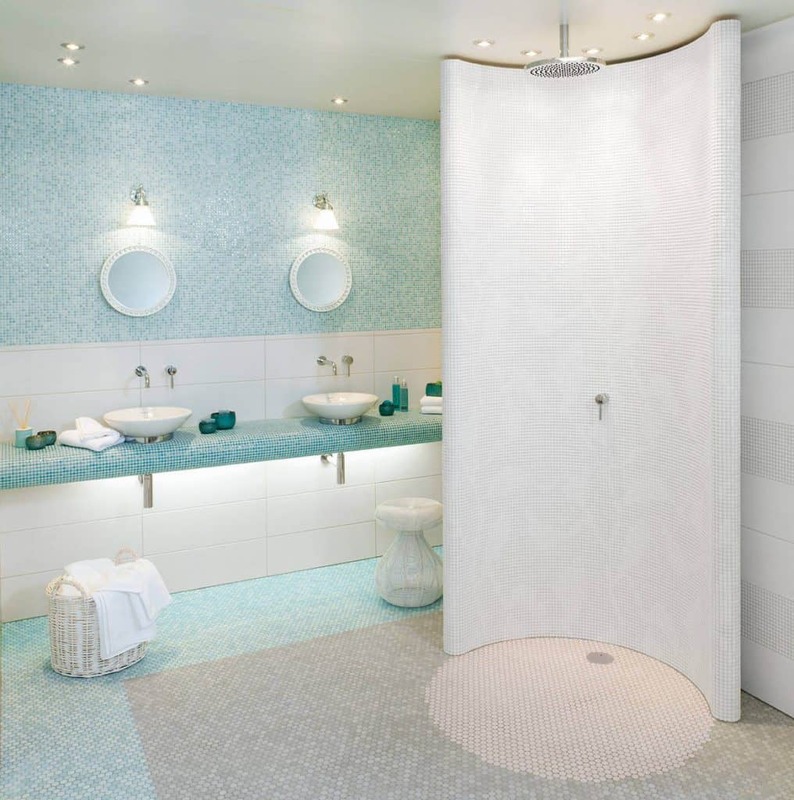 There are endless designs on the market of shower tiles that can customize any shower to perfection! 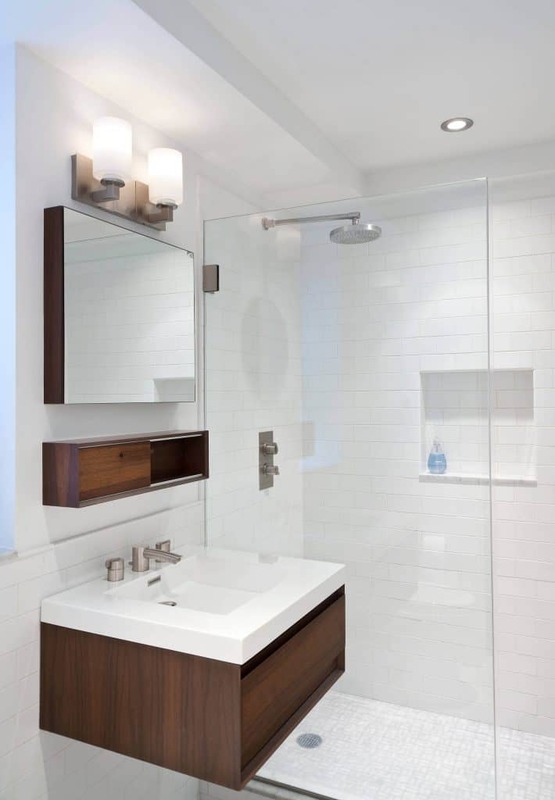 Shower tile can be purchased with an appearance of wood which creates a modern touch. Go Completely Solid with Your Favorite Colors. 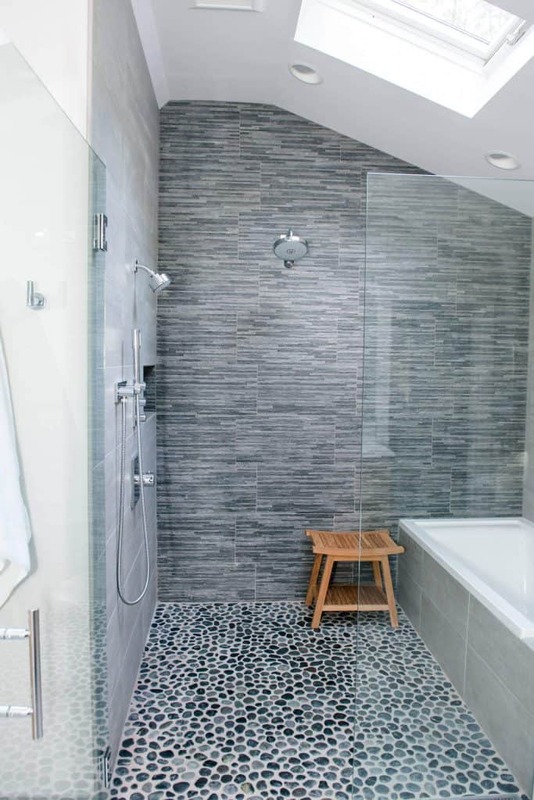 Another way to change up a bathroom shower tile pattern is to go completely solid. 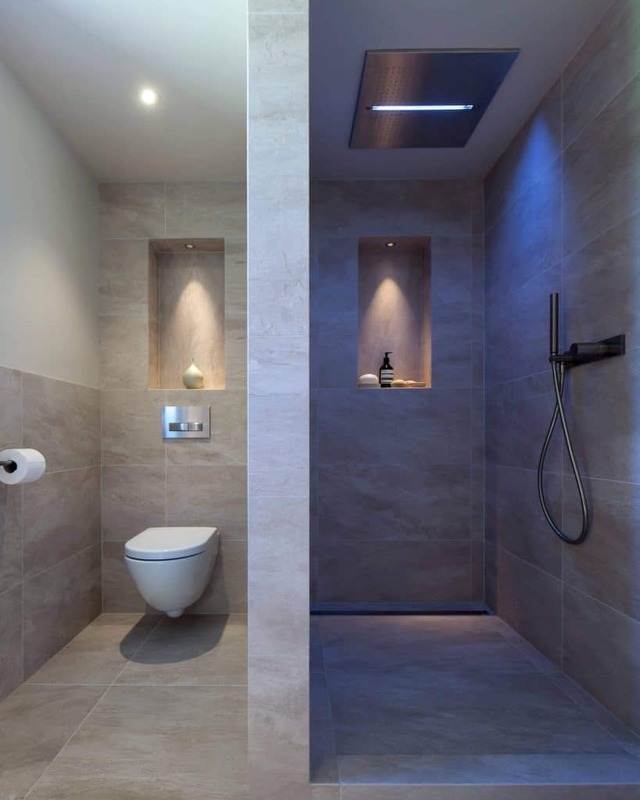 It is all about your individual preference! 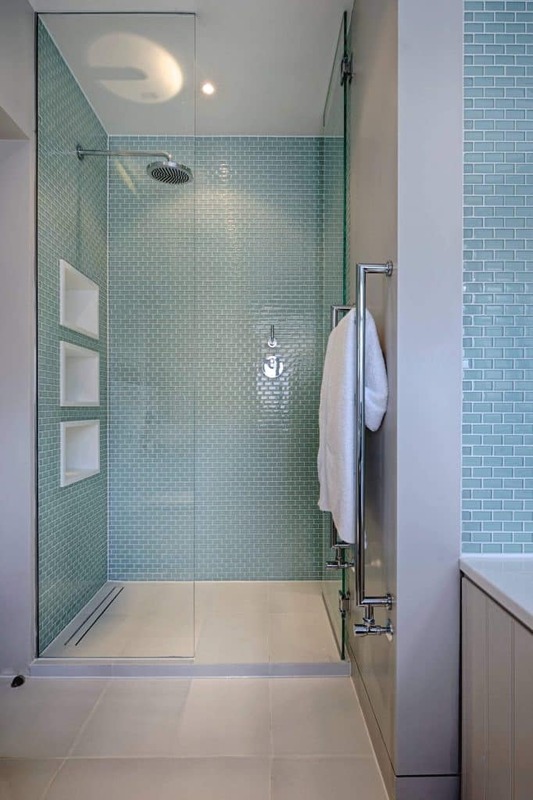 One way to change your shower tile is to choose a color that fits the bathroom. 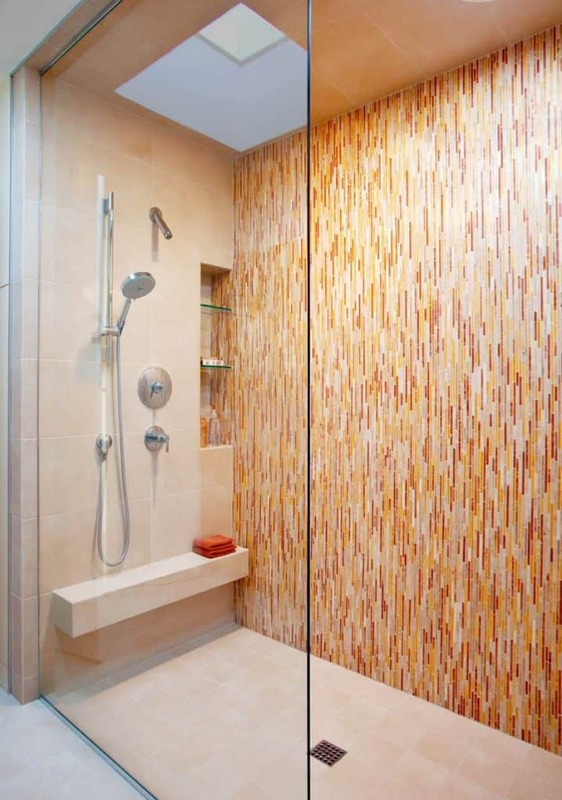 Even some vibrant colors can fit well into a shower tile setting. 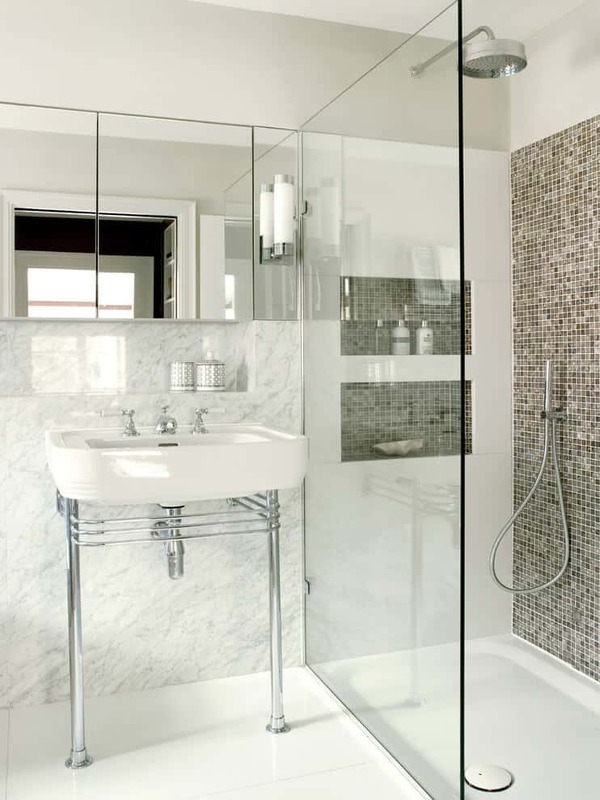 Solid white shower tiled bathrooms have been owned by many. 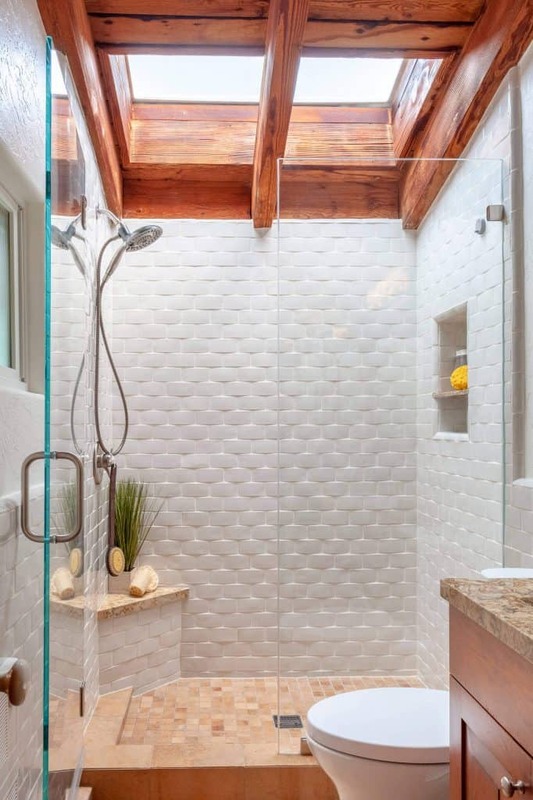 One of our best bathroom shower tile ideas is to do a contrast between a solid and checkered look between the floor and ceiling. 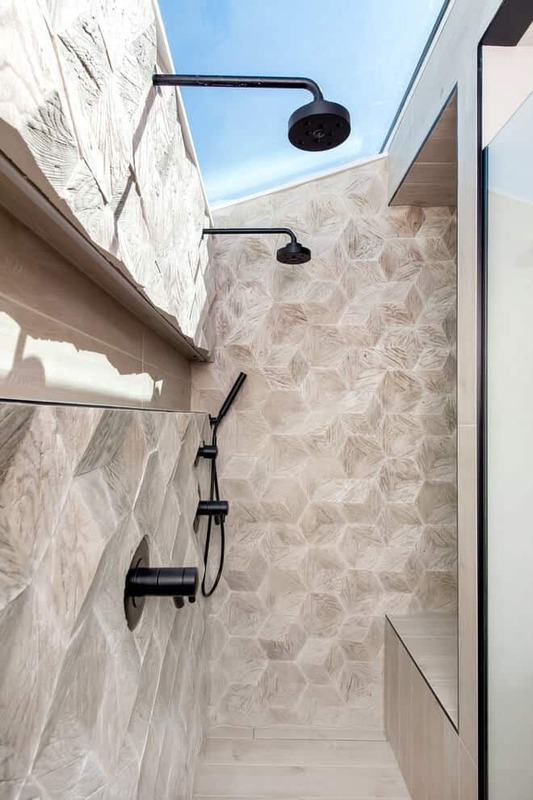 Another way to change some things up in your bathroom shower with just the shape of the tile is to turn some of the tile pieces in diagonal directions with different colors. 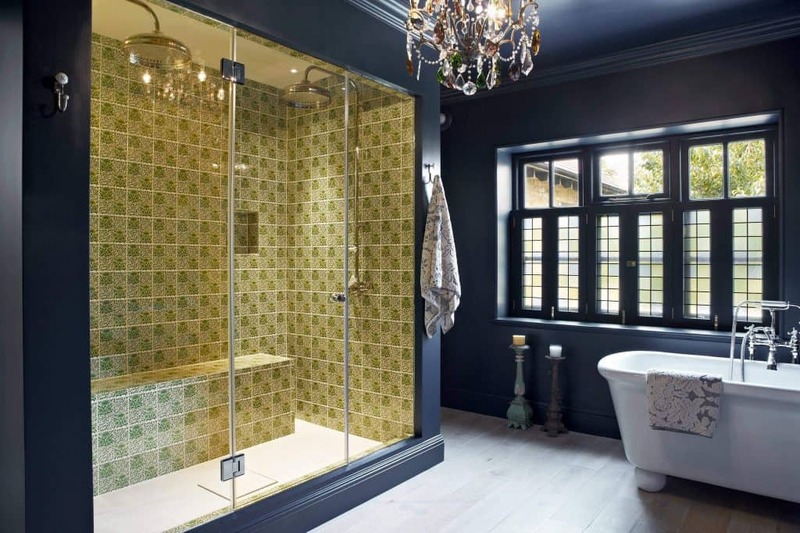 This can really make some of those pieces of tile stand out more than the other and even transform the entire look. 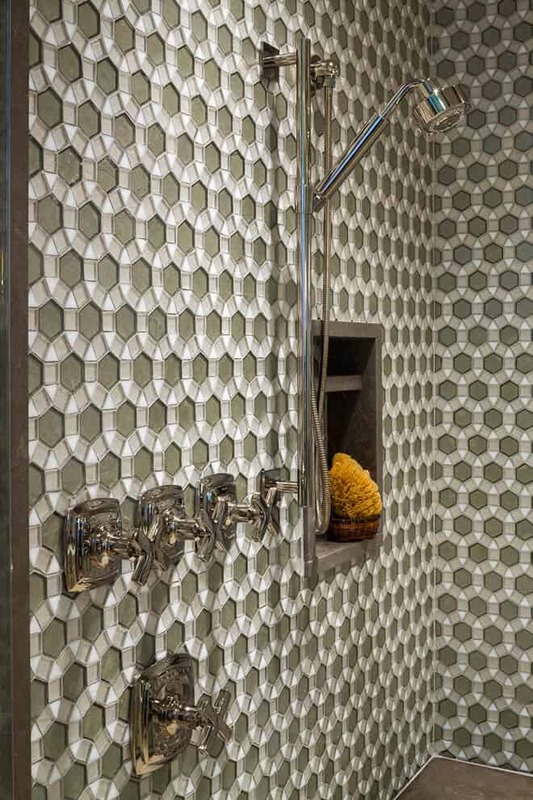 Different Tile Shapes Make A Wonderful Pattern. 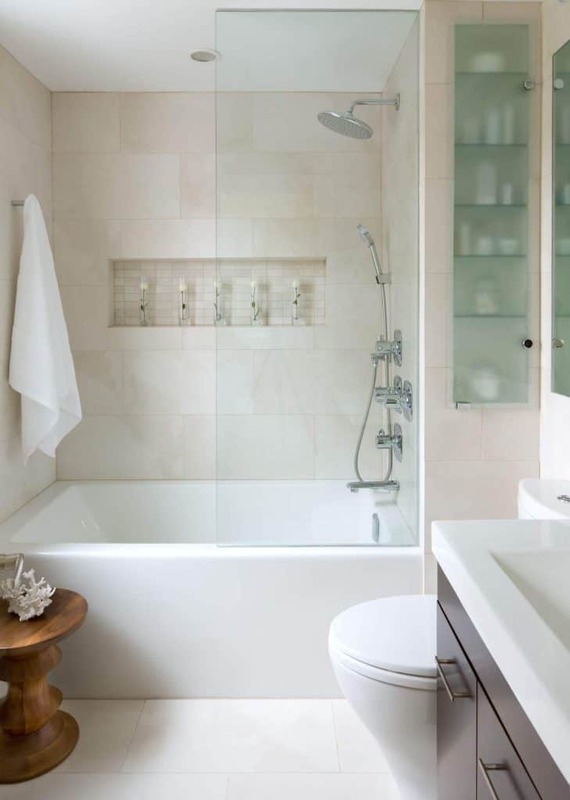 Sometimes the color of the tile does not even need to be changed to transform a bathroom’s shower tile. 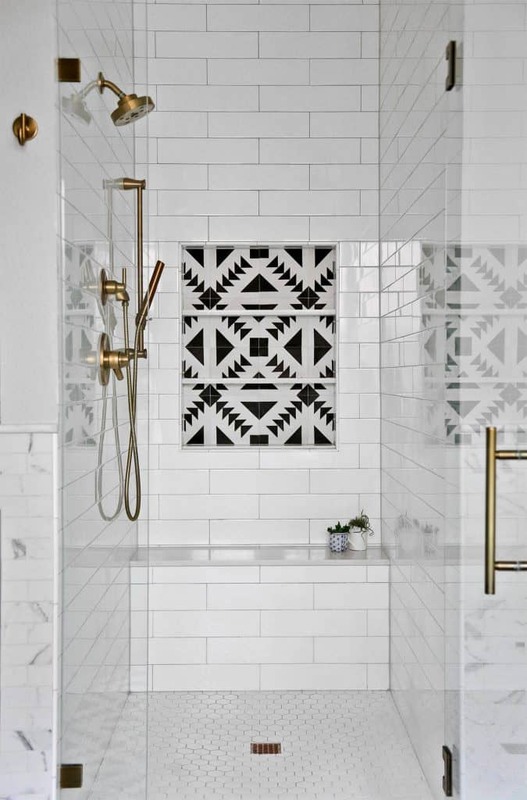 One way to mix things up a little bit and add a unique and elegant look to a shower is to change up the shower tile with a mix match shapes. 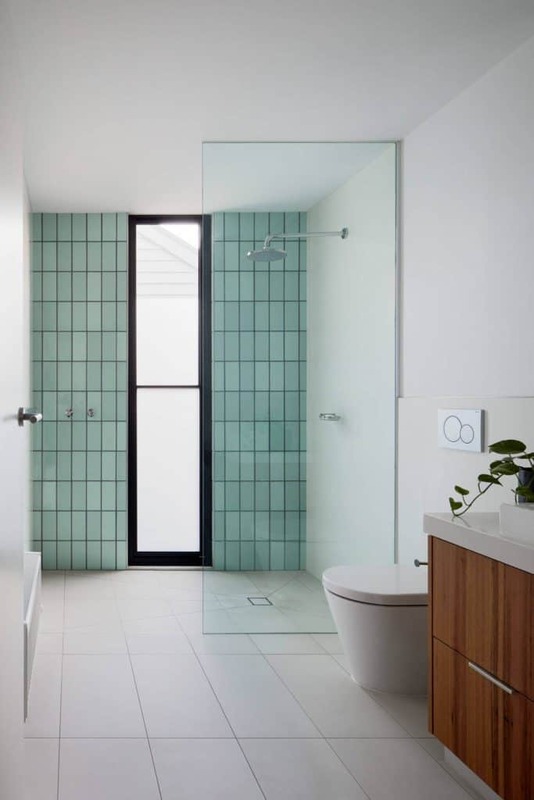 The tiles can change from squares to rectangles or even a broken tile appearance can sometimes be used to change things up a bit.